A rimfire replica of the famous battle rifle! The HK G36 5.56x45mm rifle was designed in the early 1990s as a replacement for the heavier 7.62mm G3 battle rifle. It was accepted into service in German armed forces and is used as an in infantry gun in a large number of countries. This reproduction of the iconic rifle captures all the excitement of the original-but in the cost-effective .22LR caliber. The HK G36 Semi-Automatic Rifle in .22 L.R. is manufactured exclusively by Walther® under license from HK. It is the only genuine HK tactical rimfire replica available in the world. If you want a .22 HK, this is it. Overall weight: 6.74 lbs. (with full magazine). 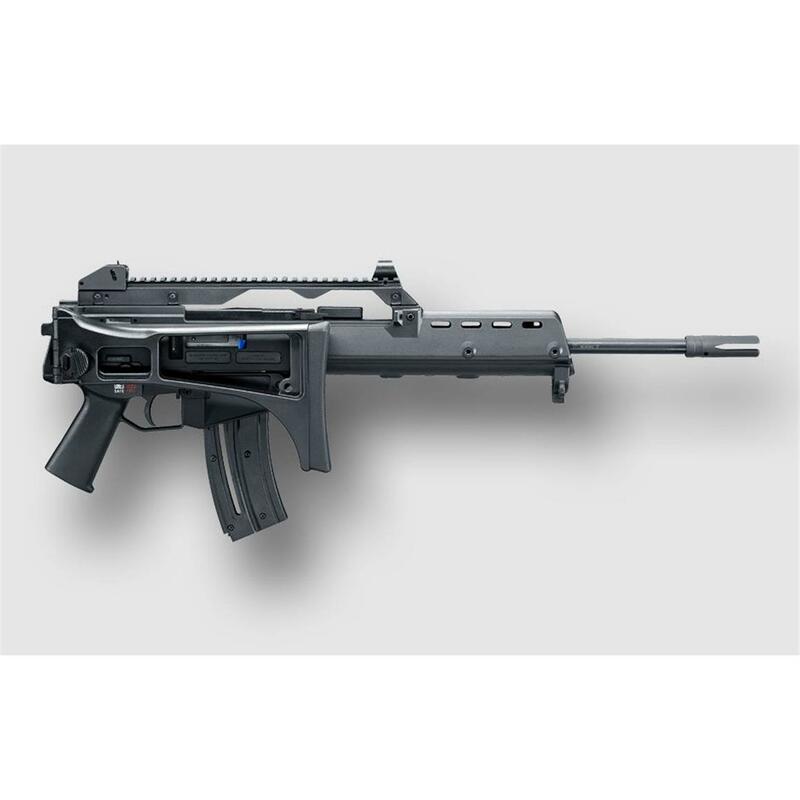 Walther HK G36, Semi-Automatic, .22LR, 18.1 Barrel, 20+1 Rounds is rated 5.0 out of 5 by 1. Rated 5 out of 5 by Kody from Great rifle! If your fan of the H&K G36 I would recommend buying this rifle, It's a great rifle and a lot of fun. It's very accurate, reliable, and easy to field strip to clean. I don't care much for the open sights so I installed a original HK 1.5X integrated optic.